Rakennetaanpa kitara! : My deluxe H-13 model finished! My deluxe H-13 model finished! I finally finished my latest build that has been under way since 2012 or so. A few instruments have become reality before I got this one on the bench, but that was on purpose: Intention was to build myself "my last guitar" and to put in it the things I've been practicing with the previous builds. I'm happy with the results. Have a look! Feast your eyes! I made this one for my own use. But you know how it goes. If somebody is willing to hit 5000€ on the counter, I will sell it with just a hint of regret. Here's two videos with the guitar in action. 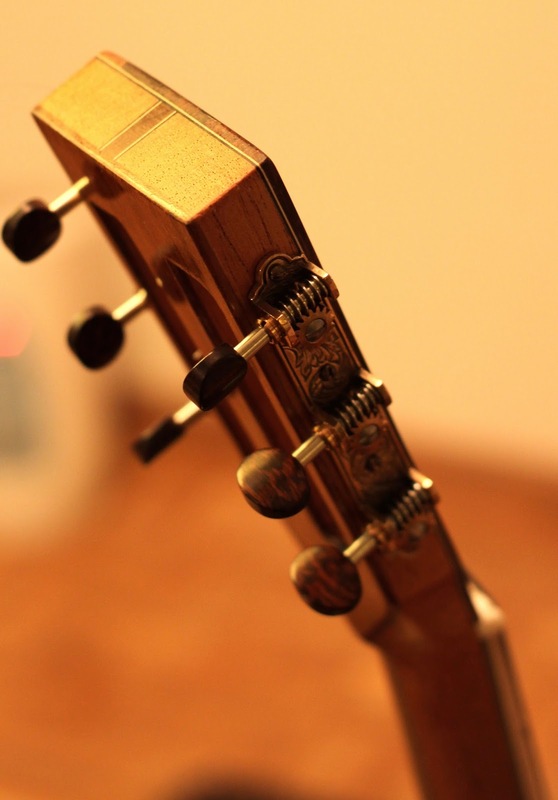 Model: 000/H size deep body guitar, 13 frets-to-the-body neck. 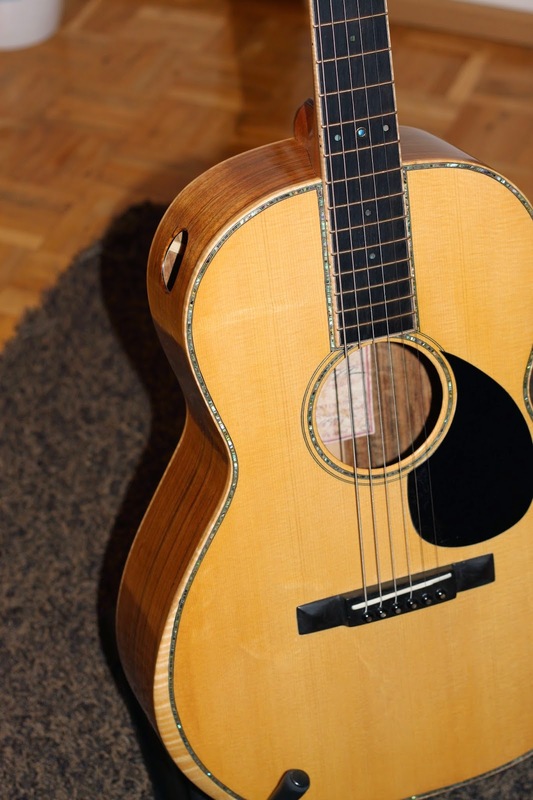 Top: Lutz Spruce with partial bear claw and tight grain. Back and sides: Figured Ovankol. 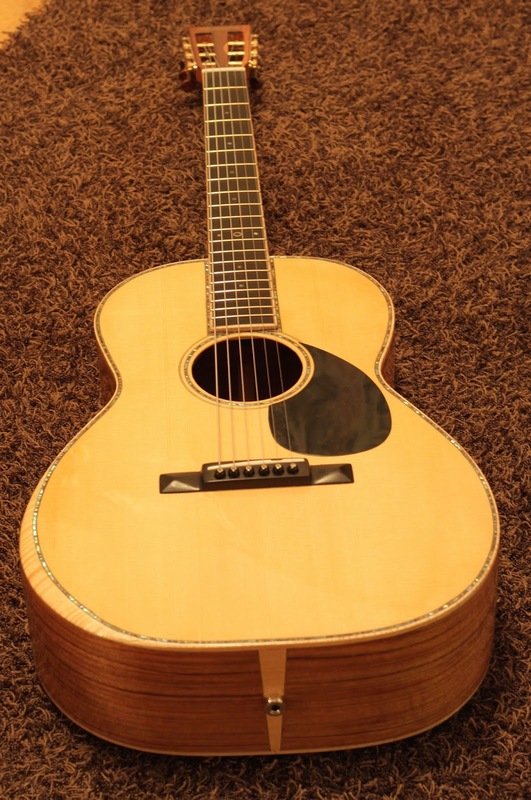 Back is double x-braced with European spruce. 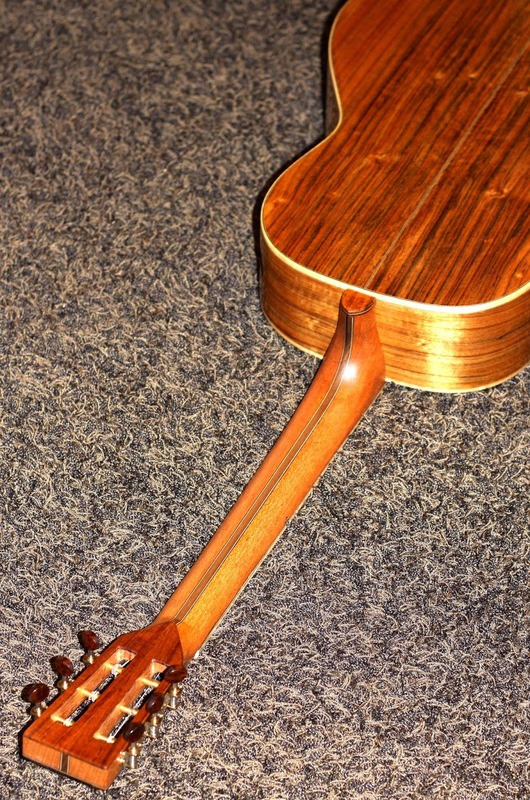 Binding & bevel: Flamed Maple with black-white trim. Top inlay & Rosette: ZipFlex Paua Abalone 1.6 mm with black-white trim. 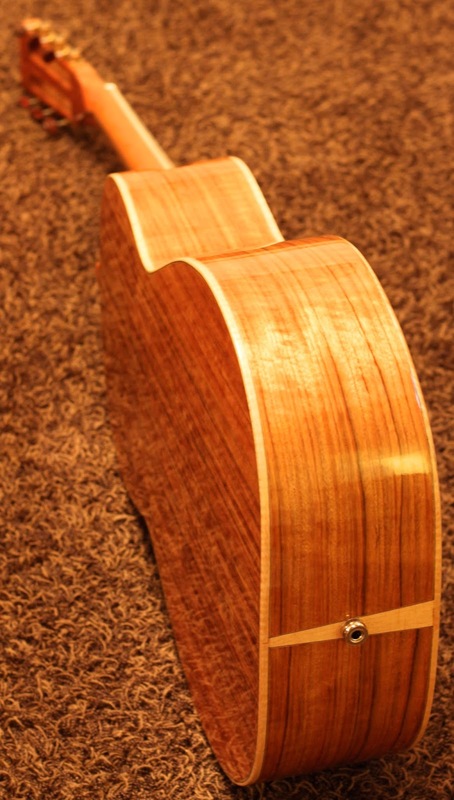 Neck material: 7 piece sandwich with Spanish Cedar, white and black Maple veneer and Walnut. Headstock veneer: Madagascar Rosewood & Koa with black-white sandwich. 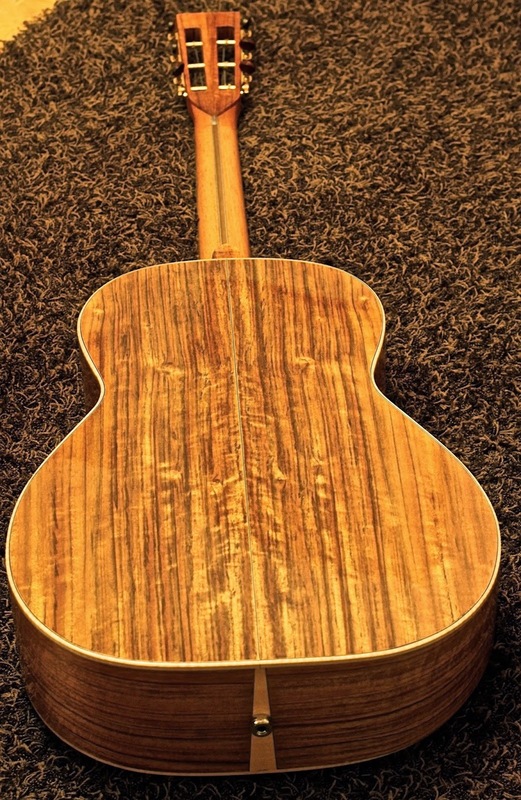 Back of headstock: Bookmatched Koa. Heel cap: Koa with black-white sandwich. 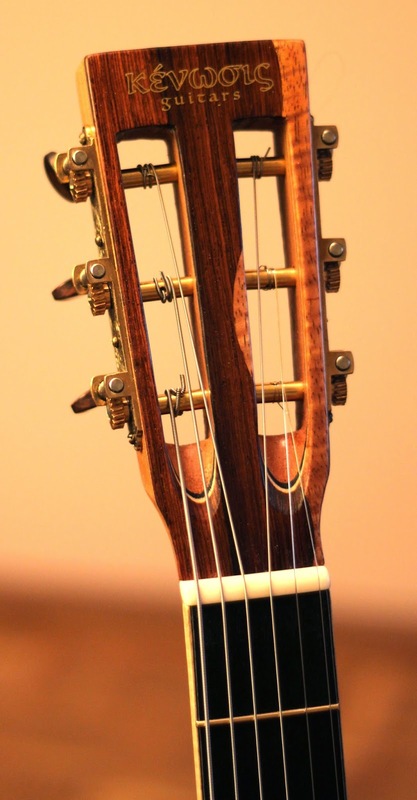 Neck reinforcement: 2-way truss rod and carbon fibre bars. Fretboard: Ebony bound in maple with 4mm abalone dots. Brass mosaic pin with Spectrolite eye (a true Finnish gem) at the 12th fret. Bridge pins: black bone with brass/abalone inlay. Pickup: BGM Electronics Elevation System. Tuning machines: Engraved brass Waverly 3-on-a-plate with Snakewood buttons. 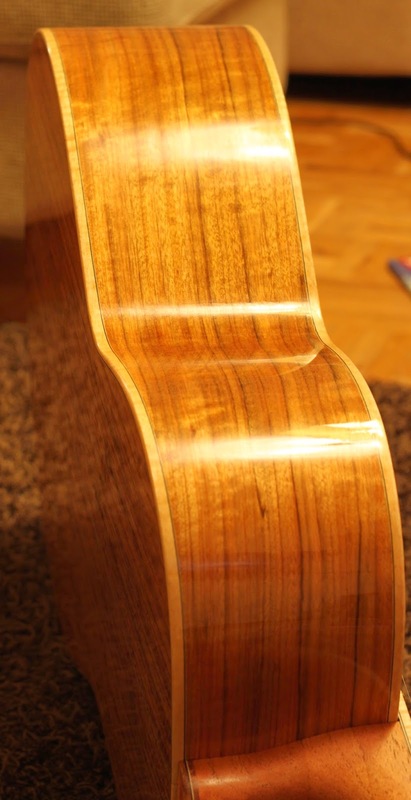 Finish: French polishing (Hard Shellac), Tru Oil on the neck. Very comfortable to play ear&eye candy. When I get the time, I'll shave the bridge a few mm lower. I like the black buffalo horn pins on ebony! the hole for a careful beholder. about the same. It's just easier to hold. very short elves in the audience, standing right next to player's feet. when light hits in a right angle. Nice silking on the top grain. 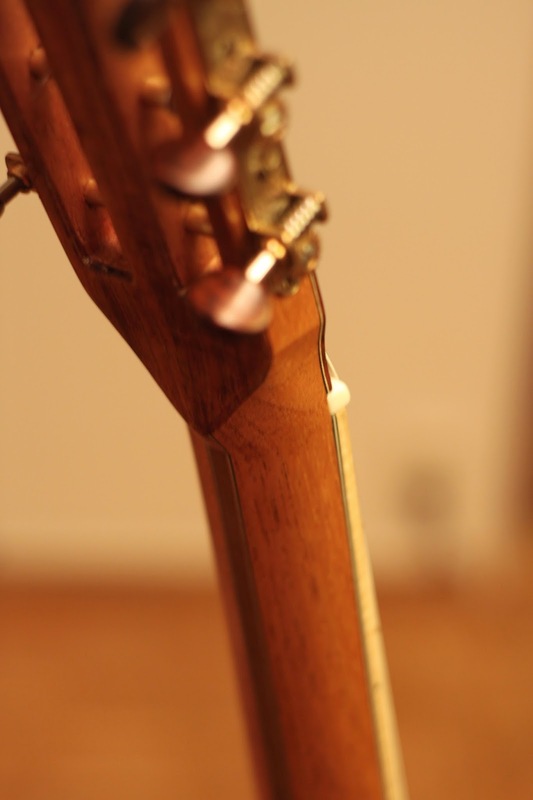 to the extremely light Spanish Cedar neck. 000 13th fretter. Player and keeper. My fist ever pearl inlayed top. 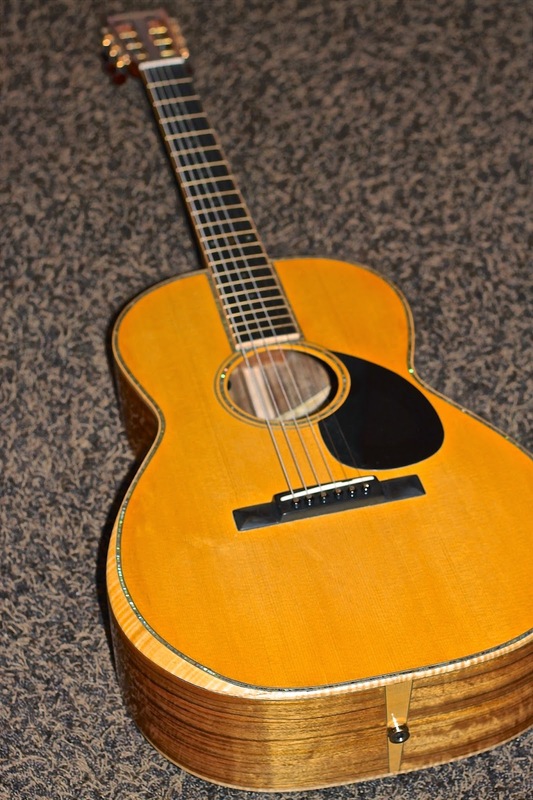 Martin's 42-style. ZipFlex is very handy and easy to use material. 4mm abalone dots as usual. 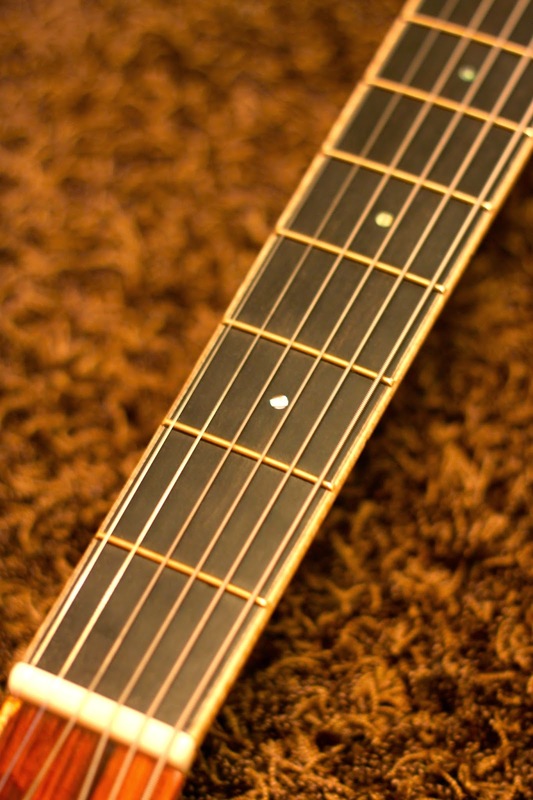 access to the upper frets (compared to 12th fret). I doesn't hurt the eyes either, does it? add-in to cut the shipping cost of a previous build. a stunning Cocobolo I used for Jouni's guitar. I prefer my neck natural with no tints. Tru Oil and 0000 steel wool. Just to see how it turns out. 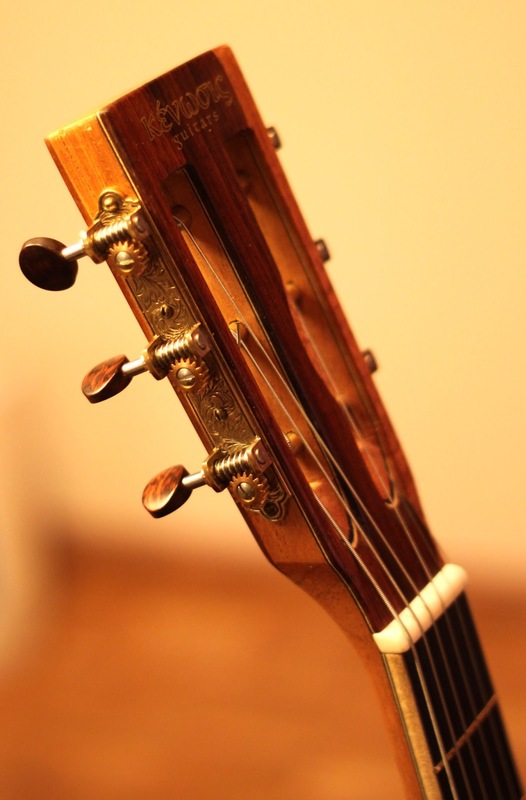 is relatively close to Indian Rosewood. But as non-porous wood, much faster to finish! it's very hard for me to imagine this light colored headstock front veneer. In the backside it brings nice texture to the whole. Had to bend the neck end of the veneer a bit to match the curve. Heel cap is Koa-black-white-flamed Sapele.